I’ve probably mentioned before that I enjoy my job as a driving instructor. It is also true to say that some days are a little better than others. Don’t worry, I’m not about to talk about one of the rare crappy ones. A couple of weeks ago I started a course of lessons with Priya. I enjoyed doing them and during our second lesson she mentioned that her partner had an interest in cars and ran a 40 year old 911, pretty much as a daily driver. “Wow” I said and thought, and although Priya was very polite she probably wasn’t quite so excited about this fact as I was. We let the subject drop and I didn’t think too much more about it. Our third meeting was an evening lesson and as I called to the door, Duncan, her partner answered. We got chatting and I mentioned that Priya told me he drove a neunelfer. 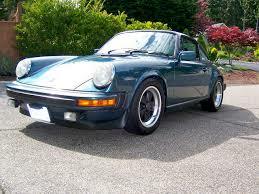 Next thing you know the garage door was open and I was looking at a pristine petrol blue 1978 911sc. 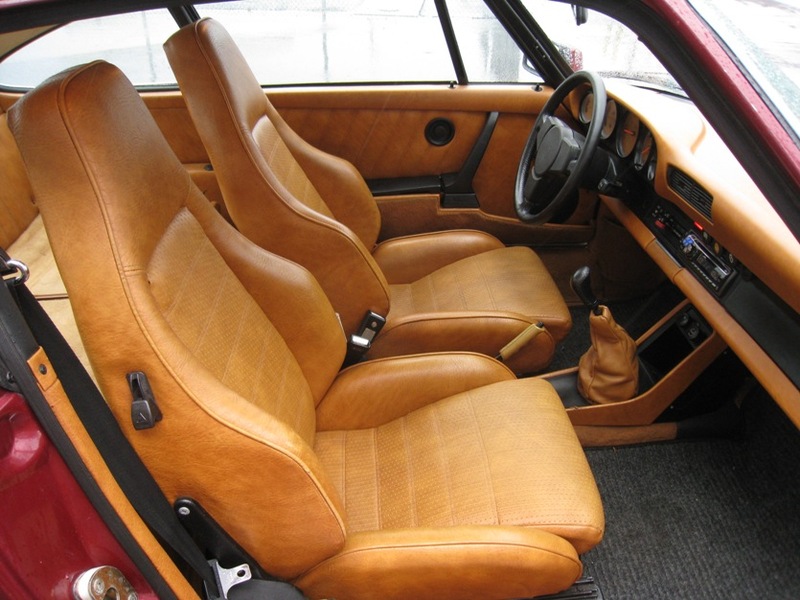 Sitting on perfectly refurbed 16″ Fuchs. Surely an even better combination than Bombay and Fever Tree? Duncan’s laid back demeanour couldn’t fully hide his passion and he happily told about the work it took to keep a car almost as old as I am in such good nick. It recently took 9 months and a very chunky 5 figure sum to rebuild the engine. A very worthwhile exercise as it happens. He knew it’s history from day one (It’s one of the first rhd sc’s and started life in London). But most of all he loves to drive it and unless he was just being polite (which is very possible) he was more than happy to shoot the breeze with a complete stranger about his beautiful car. At this point I felt I was probably testing the patience of my client and I couldn’t justifiably put off the driving lesson any longer. One hour later I was filling out the paperwork and Duncan came out and asked if I’d fancy a spin? There’s only one answer to a question like that. Next thing you know I’m in the passenger seat. And what a seat. Re-upholstered in tan leather without a hint of wear, the only thing that suggested it’s age was a slightly sluggish inertia reel belt. The engine isn’t really all that different on paper from the mill in the Family Bus. They are both 6 cylinder engines displacing almost 3 litres and even though half of the Porsche’s pistons are opposing each other instead of inline, both blocks offered just under 200hp when leaving their respective factories. Turning the ignition disabused me of the notion there would be any other similarities. The flat 6 caught on the first turn. It was noisy. It was alive. With the Beemer you need to get well above 3000rpm to feel anything like this thing feels like merely idling. Duncan let out the clutch and we warbled slowly towards the N11. Even just negotiating the quiet residential streets the engine was intoxicating, evocative yet somehow not aggressive. There were no carefully piped sounds into the cabin like you might get nowadays, just a carefully engineered 40 year old air cooled engine doing what it was supposed to do and sounding like it was supposed to sound. As we approached the motorway the oil temperature had sufficiently risen and we exited the roundabout on a bone dry road. 3rd gear with the revs pretty low and he squeezed the power. And kept squeezing. It picked up in no time. The low down torque was astonishing. It just went and would have happily kept on going had the speed limit allowed. It really looks this nice inside. Really. He took the next exit. Pulled in at a petrol station. Jumped out, left the driver’s door open and asked if I wanted to drive. I’d be lying if i said the thought hadn’t crossed my mind. Repeatedly. No prizes for guessing my answer. Duncan asked if I’d driven one before and when I said no the only advice he gave me was that the pedals come out of the floor rather than hang down as is normal. Apart from that he just let me at it. In his carefully maintained very expensive sports car. With a mental note not press the loud pedal with any degree of vigour we set off. The first thing you notice is a slightly unusual seating position. It’s also very low. The pedals coming up from the floor didn’t really make a huge difference but apart from these three things it felt utterly modern and fresh. Until you start the engine that is. F***. There’s no way else to say it. Everything we drive now, everything, is sanitised, homogenised and ultra safe. Even a banger that might have a little character still has numb electric power steering, assisted brakes that work but can be approximate and a vague feeling of disconnect. The moment the engine turned over I felt it. In the steering wheel, through my feet on the floor and through the seat. It’s an old cliché but it did feel alive. I eased off the clutch and the lightest touch on the accelerator had the revs up to 2k. Lesson learnt. I found the bite again and couldn’t believe how intuitive and forgiving it was. The next lights I stopped at had a nice clear straight stretch ahead. I gave it about a third of what I reckoned it had. There was no drama, just a really clean smooth pickup. Anything else would have had to be trying hard enough to keep up. This thing wasn’t even beginning to try. I probably drove the car for about 20 minutes but it passed very quickly. It has a 5 reasonably tight ratios and I think the redline was a little over 6k. Very brisk acceleration would probably call for regular changes but the engine was so torquey you could have had loads of fun just staying in 3rd. I was very cautious gearing as the rebound spring wasn’t terribly strong and Duncan was very possibly hoping I didn’t select reverse by accident. Brakes? I’ve driven 40 year old cars before. Normally you need to really look ahead. These did not even feel 3 years old. Strong, communicative and reassuring. The nicest iteration of the 911? I wouldn’t like to call it but certainly the modern ones have none of this cars lightness and delicacy. Every forty year old car has it’s backstory and probably it’s fair share of secrets also. It goes with the territory and is part of the charm. This car had the speedo and rev counter twisted slightly to give a better view through the steering wheel. However the owner of this gem got his hands on a working clock from a decommissioned MiG fighter plane and installed it in the dash. Perfect fit too. Yes some days my job is a real chore…. (Sincere thanks to Duncan for the unexpected pleasure of driving his car and to Priya for her (extreme) patience). Loved this article. Thanks Mick. G.
Thanks Greg. I enjoyed writing it. Oh, I do like these moments of revelation. 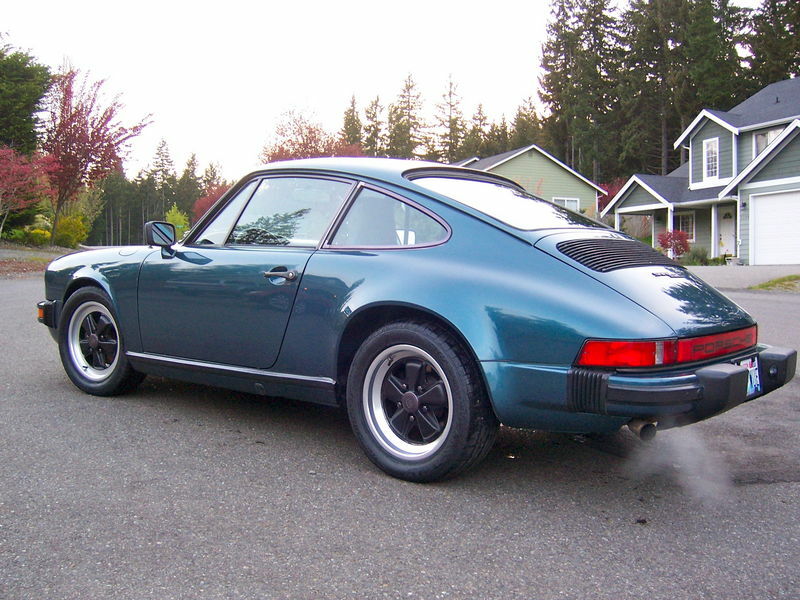 While I really don´t have any time for modern Porsches the 911 you tried is something else. I´ve only sat in one: it´s like sitting in a small aeroplane. There´s no waste, no flab. I can see why people like these and in a way they are just like 2CVs: all car, not much else. Both cars have special engines too. Pretty much anything older than 30 years is a revelation compared to the banalities we are sold today. Over the holidays I did five light years across Europe in a rental car. I can barely remember what it was (a Hyundai, if you insist). Essentially it was a completely anæsthetic experience. In contrast at the holiday destination there was a 1978 Alfa Romeo Alfetta 1.6 parked and I got to sit in it. Like the Porsche it´s pretty just much seats, engine, and bodywork. It is a sports saloon as in a sports car that is a saloon as opposed to a saloon sportified. I can only imagine how agile 980 kg of car feels and yet the Alfa also felt comfortable as per a good, light suit or even a pair of pyjamas. The rear seats were cossetting. The driver´s position was great: thin pillars, wheel to hand, gear lever nearby and nothing much in front but a patch of bonnet. The Alferta was not much more than the bare minimum of material. That was a revelation. Alas, I didn´t get to drive it. Classic car owners really ought to put in some communal effort to let others drive their cars. Maybe do it via a charity event: money goes to a good cause and people get to try old cars and maybe see what they are missing. That’s a good idea about allowing others to drive your car. It would probably have to be on private roads though? Once a year architects here in Dublin offer their services free of charge once a donation is made to charity. It really was a revelatory moment Richard, and it made a lasting impression. Both myself and the car truly felt alive. It also got me thinking like yourself that it would be great to experience a really wide variety of older cars. It is a very hard thing to do, in my experience. One easy if slightly dishonest way to do it is to drive the ads. See what´s on sale in your town and go and do some pretend test driving. I find it´s all I can do to drive maybe one old car a year. That’s a bit cheeky but at this point perhaps needs must. Have you driven anything interesting using this trick? I had a look at an Opel Senator and at the time was actually thinking of buying it. Generally, no. I have not had the nerve to try to pretend to be a buyer. Wow. Sounds like you’re in love. If you havent watched the Scandy TV series “the bridge” you need to – tonight. Start season 1 ep 1. This porsche features prominently – but sorry, no car chases. I was glad. I don’t think the producers wanted to risk it. Saw the first couple of episodes Clex. Aren’t cars so important in setting the tone on screen? It was a real blast in the 911, I absolutely enjoyed it. Enter your email address to follow Addicted to Cars and receive notifications of new posts by email.